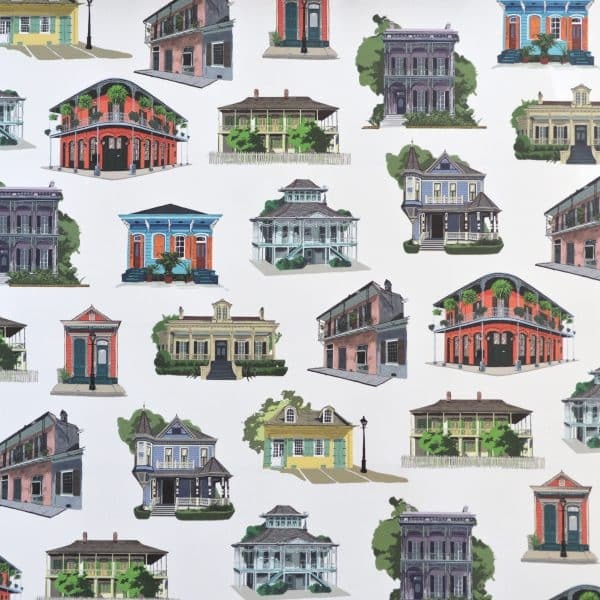 Original illustrations of iconic New Orleans architectural styles add a festive touch to gifts any time of the year. Printed on soft white paper with a laid texture. Just under 20″ x 28″. *Packs of 3 sheets are customizable through request. You can pick any other two sheet designs to complete your pack via request in the notes section of your order. Unless otherwise requested, all three sheets of paper in this pack will be the streetcar design.